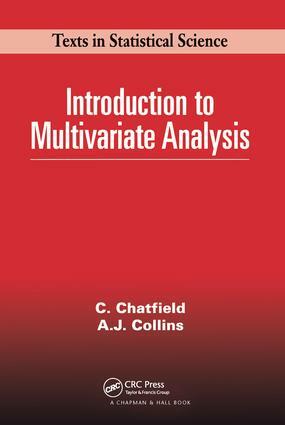 This book provides an introduction to the analysis of multivariate data.It describes multivariate probability distributions, the preliminary analysisof a large -scale set of data, princ iple component and factor analysis,traditional normal theory material, as well as multidimensional scaling andcluster analysis.Introduction to Multivariate Analysis provides a reasonable blend oftheory and practice. Enough theory is given to introduce the concepts andto make the topics mathematically interesting. In addition the authors discussthe use (and misuse) of the techniques in pra ctice and present appropriatereal-life examples from a variety of areas includ ing agricultural research,soc iology and crim inology. The book should be suitable both for researchworkers and as a text for students taking a course on multivariate analysis. "The book's simplicity of approach and clear presentation make it a good choice for an undergraduate course or a self-study course in multivariate analysis." "The original aims of the book are fulfilled remarkably well, thus providing a text which is to be welcomed into an area where there has been a recent dearth of introductory material."